For children of the 70s, Shada is the holy grail of Doctor Who. We saw stills and excerpts, we knew it was a Douglas Adams script (w0w! ), and we knew it was Tom Baker and Lalla at their very best. I saw a few glimpses of the unfinished production on a fan bootleg VHS tape in the early 80s, but it remains the only lost story of “my” era that I’ve known about for thirty years and yearned to see all that time. Which means that I come to the audio adaptation with high expectations. This audio comes very near to satisfying them. It gives me what I most wanted: a way to enjoy Shada as a fresh experience, rather than as a historical artifact, which is why I’ve fallen so deeply into Big Finish instead of spending my time replacing my ancient VHS tapes with DVDs. I’m glad I’ve never gotten around to watching the rest of Shada, although now that I’ve listened to the audio, I intend to look it up. Apart from a few tweaks at the end of the story to take advantage of Romana’s status as president, the rest of the script is unadulterated Adams, a full six-part adventure that utilizes that span perfectly instead of the two-parter/four-parter kludge that some stories of the era fell into. By modern standards it’s a little slow and clunky in spots, but it strikes a good balance between “this is just what 70s Who was like!” nostalgia and Eighth Doctor freshness. The Doctor and Romana visit Cambridge to drop in on an old Time Lord friend of the Doctor’s, who’s having a spot of bother with an ancient book. Naturally, they arrive just as a villain sets his sights on it for nefarious purposes. Time Lord secrets add a few more bricks to classic Who’s Gallifrey canon, building on The Deadly Assassin and Invasion of Time. (Remember, those were our chief sources for Gallifrey lore in those days.) The Doctor combats the villain with genius, silliness, and entertaining leaps of logic and illogic. The guest characters are an enjoyable bunch. Professor Chronotis is one of those endearing, eccentric, more-than-meets-the eye Time Lord/mentor characters that used to crop up on the old show. John Leeson settles in as K-9 as if he’d never left; I think this was his first appearance after The Five Doctors. There’s also couple of bright young graduate students* and a put-upon janitor whose human perspectives balance out the somewhat cookie-cutter 1979 monsters and aliens. Underplayed dashes of Douglas Adams humour add to the charm. *If Chris (Sean Biggerstaff) sounds familiar, that’s because he’s Oliver Wood! It’s a good story, although it’s not an epic or landmark story, just a solid and classic Season 17 adventure from classic Who’s heyday. Paul McGann fits into Tom Baker’s shoes surprisingly well. His early Eighth Doctor— I think this is supposed to be before he picks up Charley— is playful enough to encompass Four’s eccentricities without noticeable incogruities. Now and then I can’t help hearing Paul channelling for Tom, but that’s because I know the era so well. 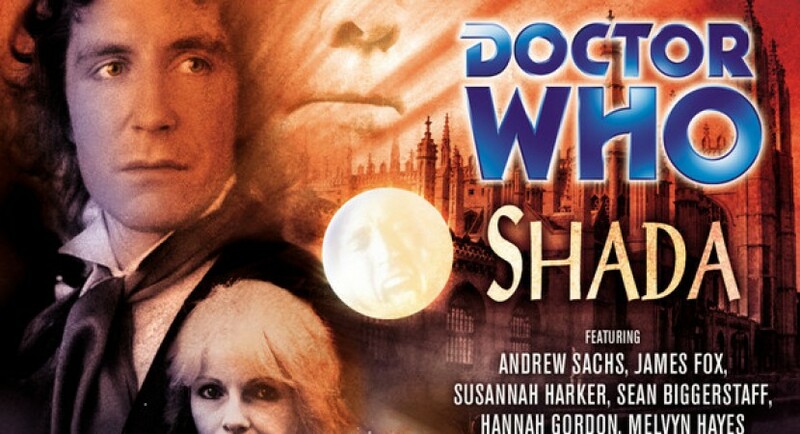 Shada isn’t quite Big Finish, in style or depth. It’s not EU. It’s classic Who. And it’s fun. I enjoyed it simply as a good Doctor Who yarn. There’s just two minor snags. One — and I’m bracing for lightning to strike me for daring to critique such a respected actor— is that Andrew Sachs’ take on a Who villain was a little too over-the-top for my tastes. If I’m remembering the stills from the TV production correctly, the costume for Skagra was ridiculously flamboyant. This is the audio equivalent. Also, with Lalla Ward’s performance in Gallifrey behind me, it’s more obvious that her character was underused in this script, too often relegated to asking questions to facilitate exposition. We now know just how commanding and proactive she can be. It’s fun to hear younger, giggly, innocent Romana again, but slightly disconcerting to hear her so passive and deferential towards the Doctor. Her unique rapport with Tom Baker transcended the lines they were given so much that I didn’t notice back in the day, but now I hear it. Lalla still has a good working relationship with Paul, but of course, it would be impossible (and awkward) for them to play off one another in the same way. Still, I wouldn’t adjust Adams’ script an iota. Romana’s passivity is not quite as jarring if I imagine this Romana has only just become president and hasn’t yet been tempered by her ordeal in The Apocalypse Element. I’m happy with this audio. I confess I still wish Tom had been able to reprise it, but in lieu of that, this is the second best choice, and we’re lucky to have it at all. The CD for sale on the Big Finish website is an expanded version of the story with some scenes that were trimmed from the BBCi webcast. I picked it up as the bonus disc with one of my Big Finish subscriptions. The BBCi version is still archived, including artwork galleries, brief cast interviews (read Lalla Ward’s! ), extensive director’s notes from Nicholas Pegg and notes about original TV Shada. Some links are broken, but most of the files are still buried on the BBC website, so below I’ve given you the correct links. Unfortunately, this is pre-YouTube, and there was no way to pause/rewind flash animation. Episode Two — Broken; see the script for the TV episode, which the audio follows fairly closely. Note that there’s director’s notes at the end of each episode. It’s worth checking out. 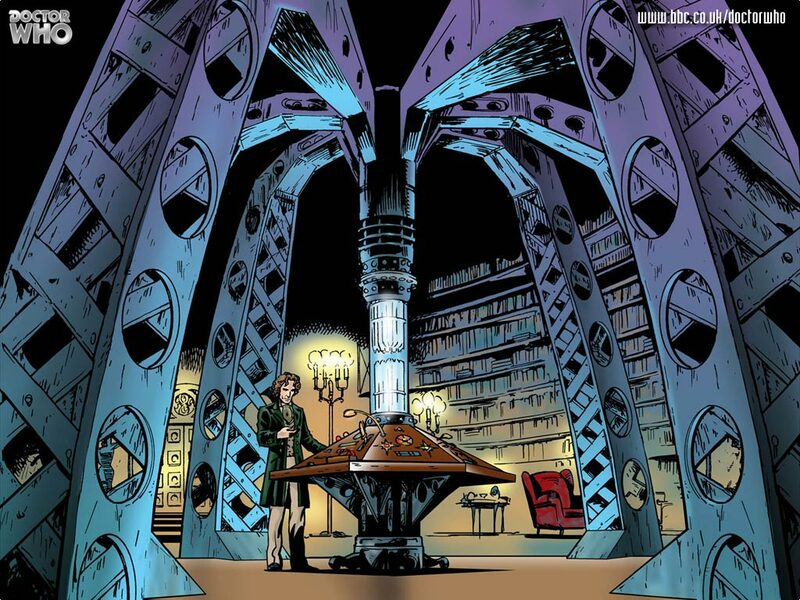 The BBC is no longer maintaining Real Time or Shada portions of its old website, and many files have already vanished. Sooner or later, the rest is going to disappear into the Vortex.